Those of you interested in the old literature about psychic phenomena will find much of interest in the books and articles available in the digital library Google Books . 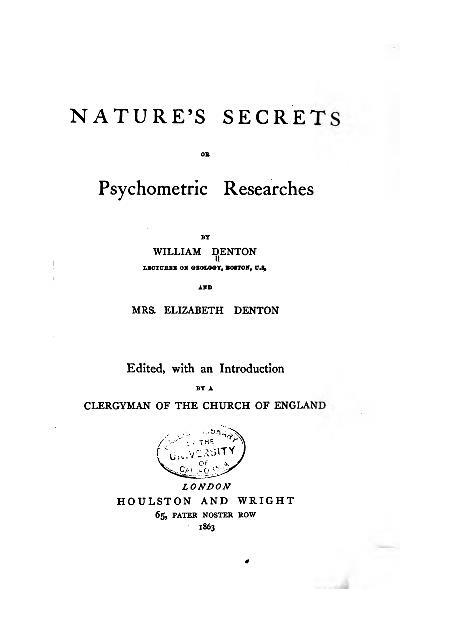 The library contains scanned facsimile files of thousands of books and journals, some of which are relevant to parapsychology and can be freely downloaded. There are several issues of relevant journals in the collection. 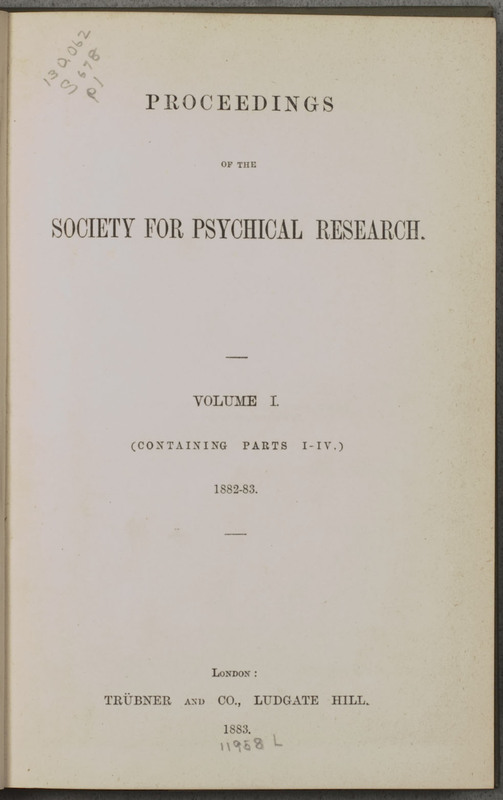 This includes issues of the Zoist (Vol 7, March 1849-January 1850), and of the Proceedings and Journal of the Society for Psychical Research and the American Society for Psychical Research. 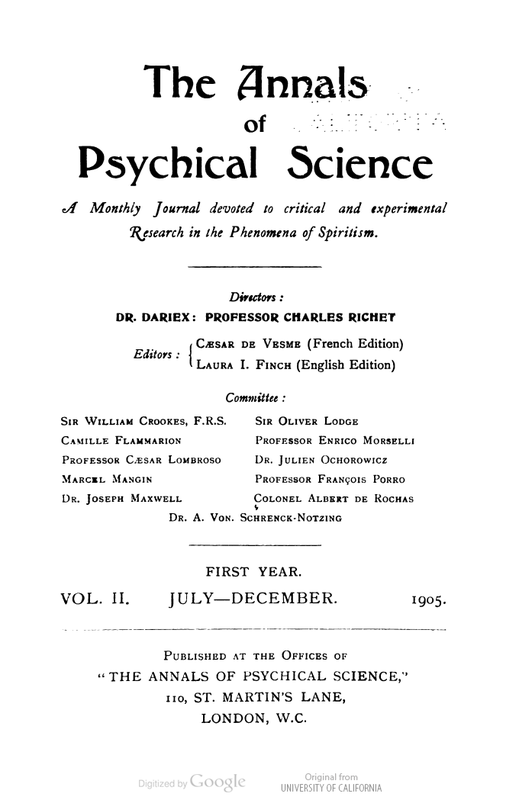 The collection has many other relevant journals, among them some issues of the Annals of Psychical Science and the Annales des Sciences Psychiques, Facts, Journal du Magnétisme, Spiritual Magazine, Psychical Review, Psychische Studien, and Revue Spirite. 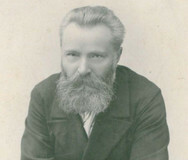 In addition, there are many issues of journals and magazines with relevant articles, such as the Revue Philosophique de la France et de l’Étranger, which had several papers on psychical research. 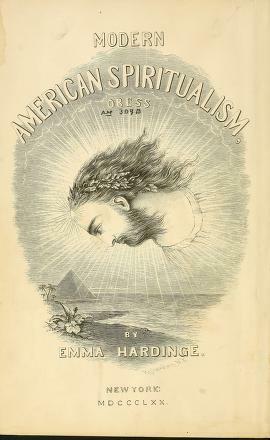 Some works valuable for the historical study of the subject include William Howitt’s The History of the Supernatural (1863), Emma Hardinge’s Modern American Spiritualism (1870), and Frank Podmore’s Modern Spiritualism (1902). 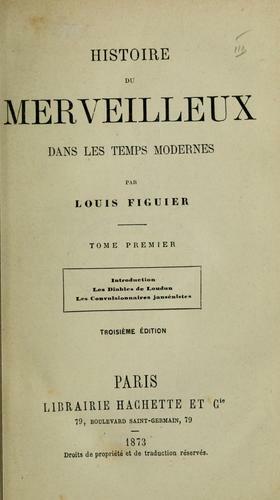 Furthermore, the collection has three of the four volume collection of Louis Figuier’s Histoire du merveilleux dans les temps moderne (1860). The collection has many important classics. 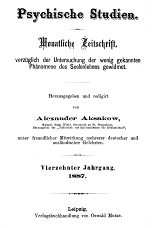 Some of them are Carl Ludwig, Baron Reichenbach’s Physico-Physiological Researches on the Dynamics of Magnetism, Electricity, Heat, Light, Crystallization, and Chemism, and their Relation to Vital Force (1850), Agénor de Gasparin’ Des tables tournantes (1855), William Denton and Elizabeth Denton’s Nature’s Secrets or Psychometric Researches (1863), William Crookes’ Researches in the Phenomena of Spiritualism (1874), Preliminary Report of the Commission Appointed by the University of Pennsylvania to Investigate Modern Spiritualism (1887), Théodore Flournoy’s Des Indes à la Planète Mars (1900), and Frederic W. H. Myers’ Human Personality and Its Survival of Bodily Death (1903). 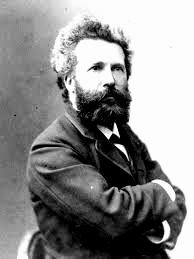 Among books surveying psychical research I will mention: Hereward Carrington’s The Coming Science (1908), Camille Flammarion’s Mysterious Psychic Forces (1909), Cesare Lombroso’s After Death—What? 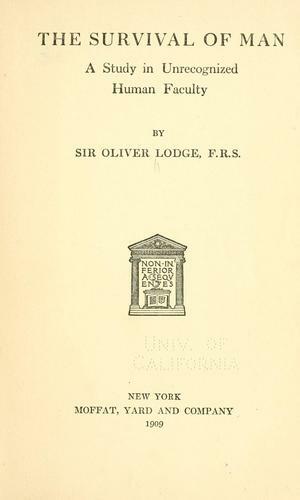 (1909), Joseph Maxwell’s Metapsychical Phenomena (1905), and Frank Podmore’s Studies in Psychical Research (1897). 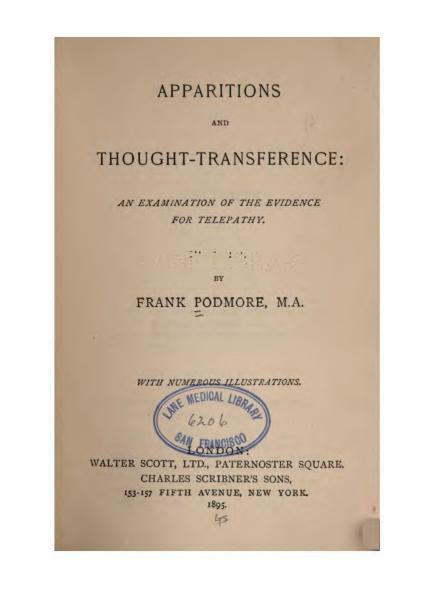 Many aspects of ESP are discussed by Julian Ochorowicz in his Mental Suggestion (1891), and by Frank Podmore in Apparitions and Thought-Transference (1894). 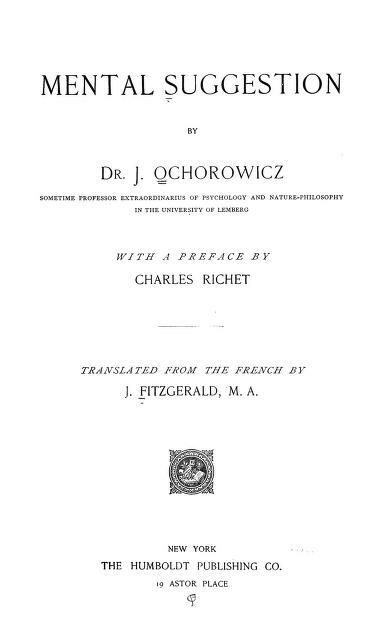 Both books include the work of the SPR and work conducted in Europe such as Charles Richet’s. 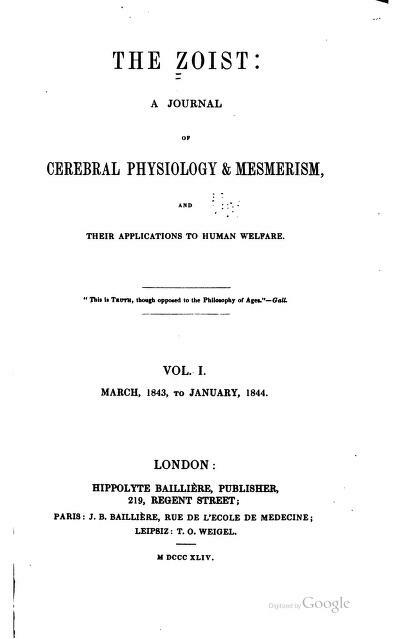 The latter’s classic paper, “La Suggestion Mentale et le Calcul des Probabilités,” published in the Revue Philosophique de la France et de l’Étranger (1884) is also in the collection. Many of the early experiments on thought-transference published in the PSPR are available. 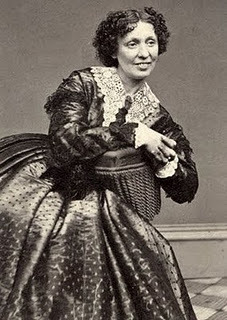 The holdings of this digital library also include many materials about spontaneous experiences. 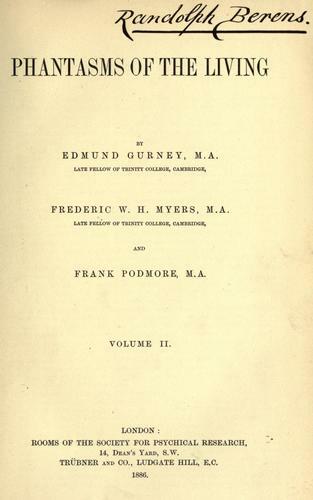 Two important ones produced by members of the Society for Psychical Research are Gurney, Myers and Podmore’s Phantasms of the Living (2 vols, 1886) and H. Sidgwick et al.’s “Report on the Census of Hallucinations,” published in the PSPR (1894). 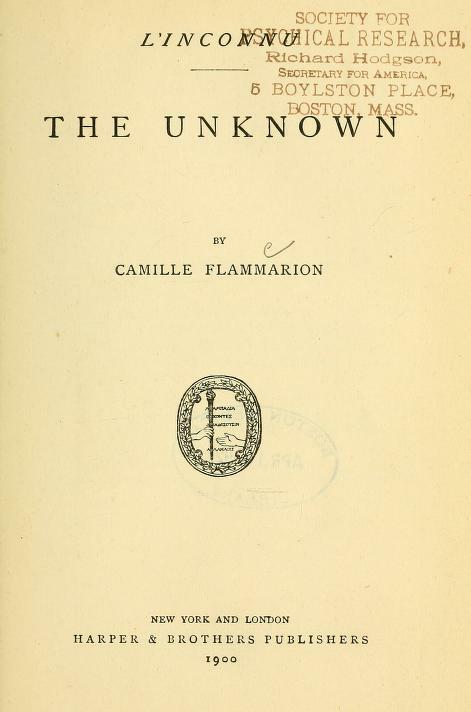 An influential study, particularly in France, was Camille Flammarion’s L’inconnu: The Unknown (1900). There are also many works about different aspects of mediumship. 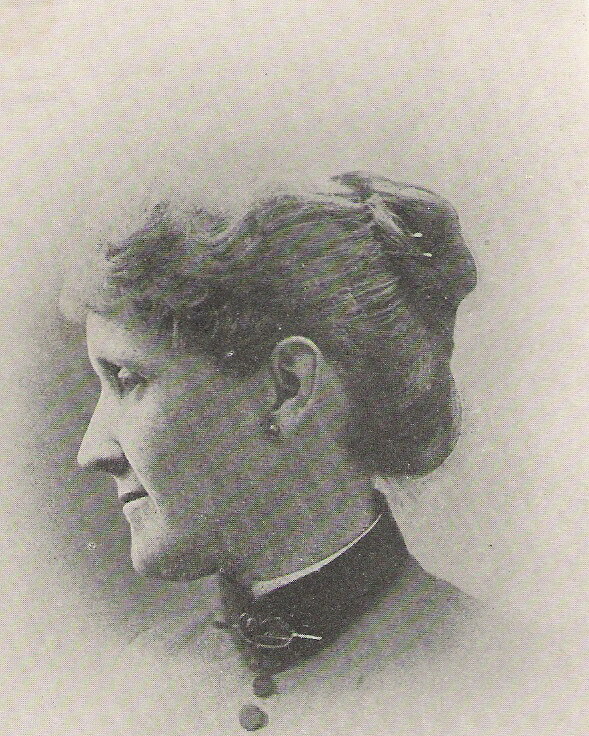 Among those published in the PSPR are the series of papers about Leonora E. Piper “A Record of Observations of Certain Phenomena of Trance,” (1890), with sections by Frederic W. H. Myers, Oliver Lodge, Walter Leaf, and William James. 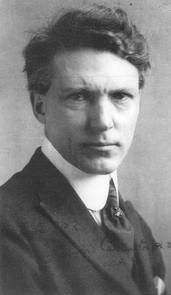 Other papers include those of Myers, such as “Automatic Writing—II” (PSPR, 1885). 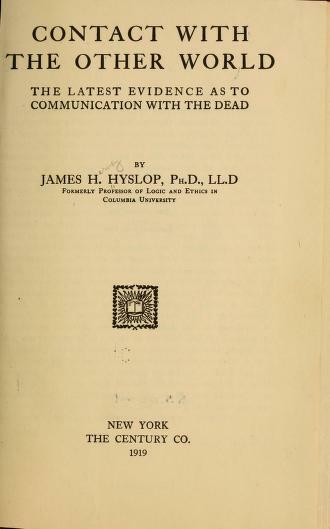 There is much about mediumship in Theodore Flournoy’s Spiritism and Psychology (1911), James H. Hyslop’s Contact with the Other World (1919), and Oliver J. Lodge’s The Survival of Man (1920). 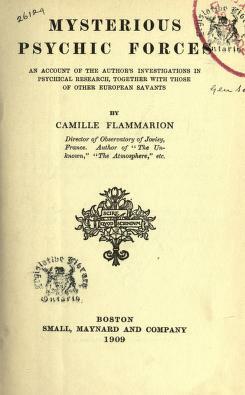 Physical mediumship is represented in the above mentioned books by De Gasparin and Crookes, as well as in James Coates Photographing the Invisible (1911), and W. J. Crawford’s Experiments in Psychical Science (1919). 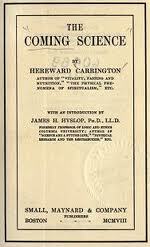 An overview, with emphasis on fraud, is Hereward Carrington’s The Physical Phenomena of Spiritualism (1920). The collection also has many other relevant works, as well as holdings about mesmerism, hypnotism, spiritualism, and dissociation in general. Hi Granger, I don’t know about Google but you can access many of these same books via The Internet Archive. 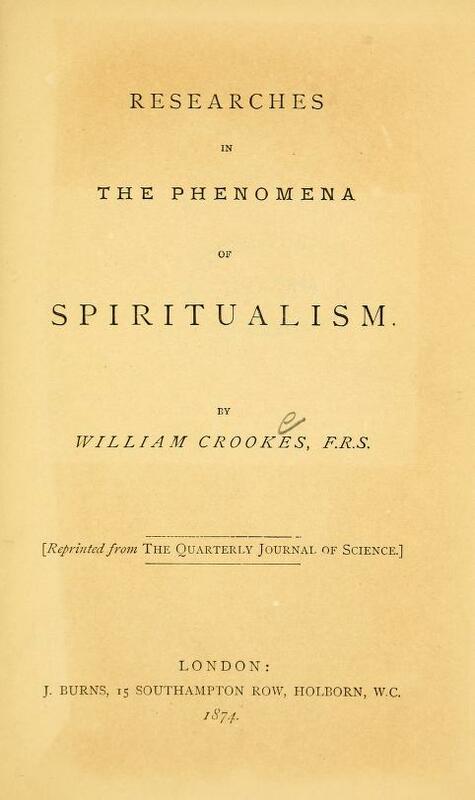 Also Carlos, have you noticed that many of the Spiritualist books uploaded by the Harvard Library are from William James’s personal library, which his son derisively referred to as (paraphrasing) “the largest collection of crank literature in the western hemisphere”. 🙂 Some of them have handwritten messages to or from James and will have a note in the frontispiece saying something like, “From the personal collection of William James”. It’s pretty cool knowing that you’re reading some obscure text that belonged to William James. 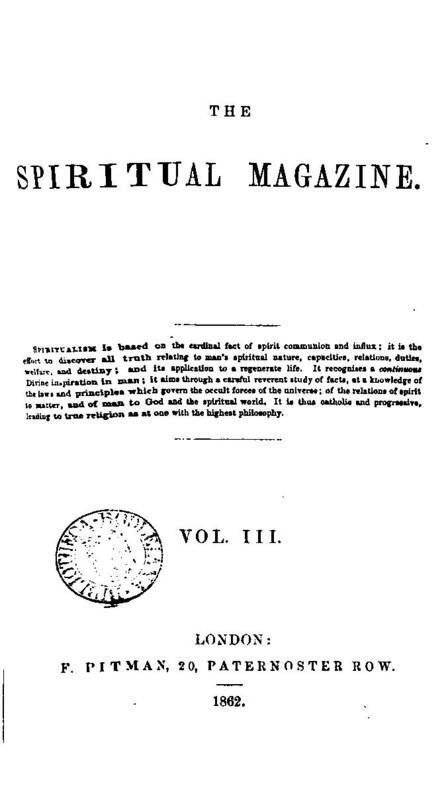 Also, check out the book Report on Spiritualism: From the London Dialectical Society. This report caused a bit of a sensation and there is a fascinating interview with Daniel Dunglas Home in it. Really, the interview with Home is worth reading. I particularly enjoy reading the old journals and looking at the ads. It’s a pity more parapsychologists, and really more Spiritualists, seem to be so ignorant when it comes to the history of Spiritualism. It was so influential and has been largely forgotten or dismissed out of hand. Anyway, thanks for writing this Carlos.